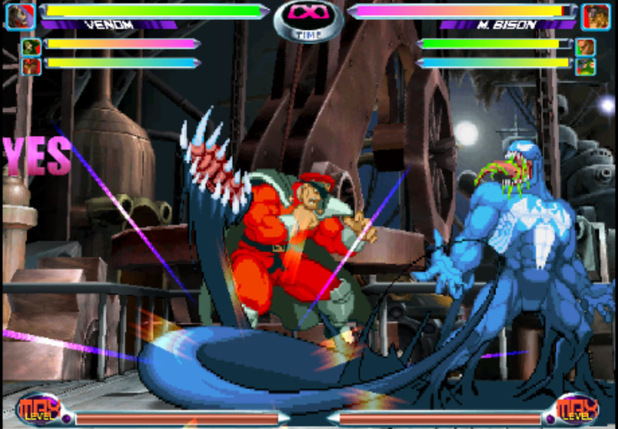 Today Capcom announced that the super popular fighting game crossover, Marvel VS. Capcom 2 is coming to the App Store. Sporting a robust 56-character roster, including Wolverine, Ryu, Iron Man and Mega Man, Marvel VS. Capcom 2 for iOS gives players the opportunity to pit their favourite characters from the Marvel and Capcom universes against each other in an insane, action-packed, tag-team arcade fighting experience. As in the original release, Marvel VS. Capcom 2 for iOS will include the “Variable System”, which allows players to tag in other team members at any time. This system, specifically designed for Marvel VS. Capcom 2 is also key to the execution of the most powerful attack, the Team Hyper Combo, where all three members of your team use their ultimate powers. The game is scheduled to hit the App Store on the 25 April 2012.